The Rt. Rev. 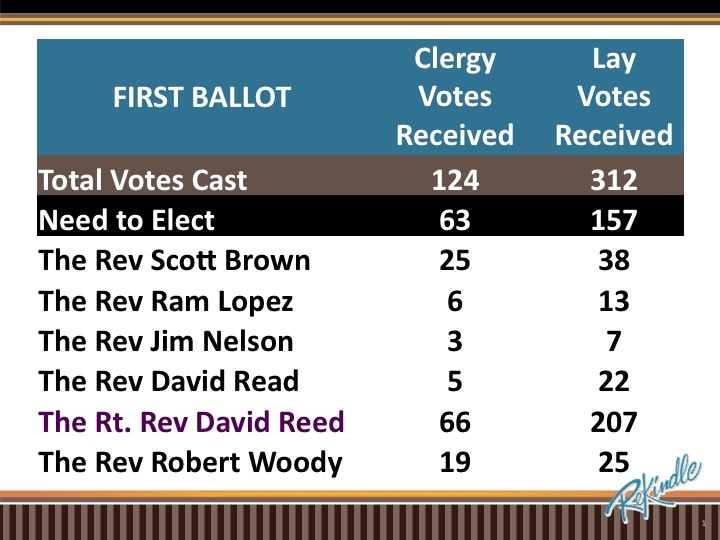 David Reed was elected Bishop Coadjutor of the Diocese of West Texas on the first ballot.